Kishore Madhamshettiwar rose from his bed early in the morning and began to get ready for the 350 km drive from Moga to Delhi. It was early in March 1986 and this would be a defining trip in the 27-year old’s life. He had received a marriage proposal and this would probably be one of his first visits to his to-be bride’s home. Two of his juniors from work (Kishore was heading the Condensed Milk Division of Nestle in Moga) also wanted to go to Delhi and they would be joining him for the journey which would be made in Kishore’s faithful Fiat car. The Fiat or Premier Padmini on the left was the small car while the Ambassador on the right was the big car in those times. It was out of implicit obedience to his Guru that Kishore paid his respects to Baba before embarking on the journey. The drive was smooth and comfortable. Within a couple of hours, the Fiat car crossed Ludhiana, the first milestone on the road towards the national capital. That was when the speeding car swerved and toppled into an accident. Like some fighter jet, the car did a complete canopy roll but miraculously ended up upright on the road. Kishore turned to look at his juniors. They seemed fine except for the look of horror on their faces. They were staring straight at him, at his profusely bleeding head! Kishore did not understand what the doctor was talking about. He was feeling no pain. However, it was evident that he had suffered severe loss of blood. The hospital did not have the necessary facilities for complex surgeries. Without anesthesia, the doctor patched in fifteen stitches to stop the bleeding. (If a stitch in time saves nine, the doctor surely saved Kishore at least 15x9 = 135 stitches!) The doctor also pumped his body with 2-3 bottles of blood. “You should rush to AIIMS (Delhi) or CMC (Ludhiana) for further treatment. What I have done is only a stop-gap one”, he told Kishore when he sat up on the hospital bed. Kishore decided to disobey the doctor because he was not feeling “even a pin prick of pain”! What could be so serious but so painless? He decided to head to Delhi - not for the hospital but for the work he had set out upon. It was the pleas of his juniors that convinced him to turn back home. By that afternoon the Fiat found itself parked in Moga and Kishore entered his house. His sister’s siesta was broken and she came out of the room, rubbing her eyes. With goosebumps, Kishore now understood the reason he didn't feel even a pinprick throughout the whole episode! He realized that he had received the greatest gift possible - the gift of life! A picture of the wedlock of Kishore with Gargi. As predicted, the ‘bitter’ beginnings of the post-married life took their toll on Kishore. It was around this time that the Sarbat Khalsa established a panthic committee and declared a need for a separate Sikh homeland! Not only Kishore and his household, but the entire state of Punjab grappled in the grips of insurgency and extremism. Several problems cropped up at work and Kishore feared that he might be forced to quit his job because of the tense social situation. He was at his wits’ end and did not know what to do. It was at this time that he decided to make a trip to Puttaparthi. Everything had fallen in place for this trip - the rebirth after the accident, his Guru’s words, the wedding into a Sai-family and finally the tough situations after the marriage. Kishore arrived to Puttaparthi with the intention of spending a week in the holy hamlet. It was the January of 1987. During one of the darshan sessions, he managed to sit in the front lines. His head was filled with worries and he decided to offer all of them at Swami’s lotus feet. He recollected all that his Guru had told him about Baba - that He transcends all sages and saints because He is a Poorna Avatar. Soon, the beautiful form of Swami glided out of the interview room for the darshan round. Kishore was mesmerised. He seemed to instantly feel a love for this form in his heart. In an instant, the divine doctor had diagnosed him, given a prescription and blessed him with an urge to acquire spiritual fitness. The eight days in Prasanthi were literally that - 8 days of supreme peace! They flew by even before Kishore could realize and it was time for him to return to Moga. Kishore always had the fire of idealism burning in his heart and he was convinced that it had found its greatest fuel in Swami. He knew that his ultimate dream would find fruition in Swami. Swami says that the greatest force in the Universe is Love because only Love has the power to transform. Therefore, while people are wonder-struck at the materialization and manifestation miracles of Baba, He always claims that those are just His calling cards. His greatest miracle is that of transforming human hearts, just as He had done to Kishore. But how could that be possible? 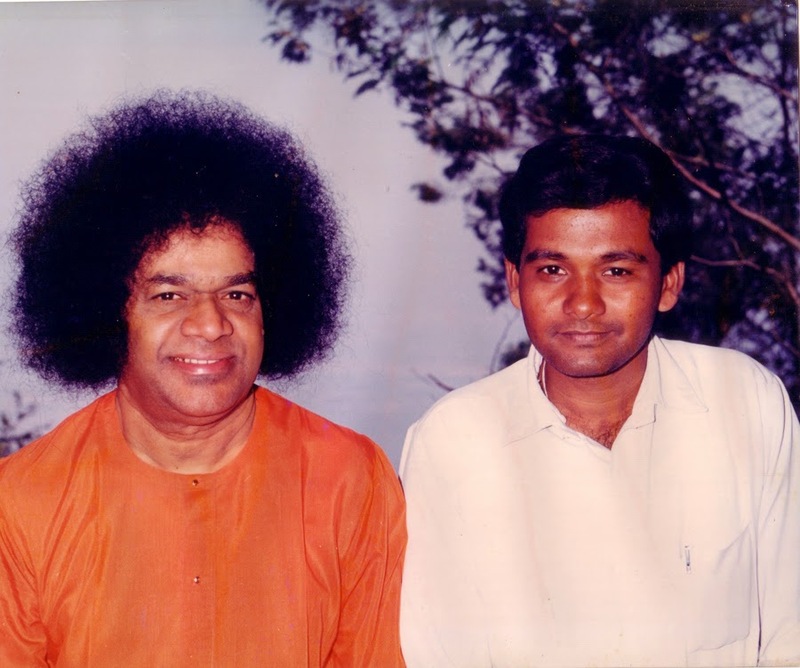 He was married already and there was no way that a married man could get admission into MBA that had just been started at the Prasanthi Nilayam Campus of the Sri Sathya Sai Institute of Higher Learning. The voice was stentorian, yet full of care and concern. Kishore applied for MBA while his wife, Gargi, applied for BEd. Kishore put in the best efforts in preparing for the entrance exams. Soon, he landed in Prasanthi Nilayam with his wife. Both wrote their respective exams and cleared them with flying colours. That was when it was discovered that here was a married couple that had cleared the entrance examinations. Since it was a ‘first’ for the University, the Vice Chancellor, Dr. Somnath Saraf took up the matter with Swami. Dr. Saraf had no answer. Thus, Gargi left for Bangalore for the BEd course while Kishore created history by becoming the first-ever married person to join MBA. 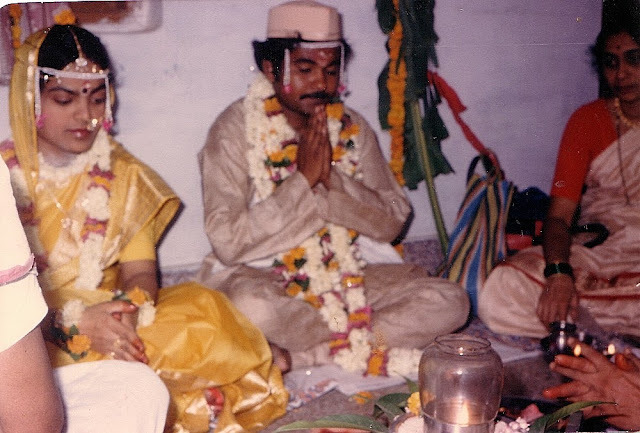 (To this day, he remains the only candidate to have completed MBA in Puttaparthi post-wedding!) When God wills, history gets rewritten and created! Kishore enrolled into the second MBA batch of the SSSIHL in June 1987, five months after he had his first darshan of Swami. What else could Kishore do but agree? He had just been overwhelmed with the revelation of the greatest gift that he had received in life. But then, what he did not know was the Truth that the greatest gift in life was not that of life. There was a gift far greater than life itself and Swami would be offering it to him. But would he be ready to accept it? W.O.W! This is so gripping! And once again, I tell it is a timely post. Got my dose for the day, "“Chinta Mat Karo; Chintan Karo.” Couldn't agree better that transformation of heart is the surest sign of being touched by God. thank you Aravind for this. Waiting for the rest. Chinta mat karo, chintan karo definitely did it for me too. Oh wow!I am also a Shirdi Sai disciple.And your father's experience is truly amazing!So wonderful it is. Sairam Aravind. Cannot wait to read the next part of the narrative. Thanks for sharing. Best wishes and Love. Woow ! really superb narrative. There is a saying that when Man proposes GOD disposes but here it is other ways round- When MAN disposes GOD proposed HIS WILL and created history. I have become a fan of your writing where we can have a virtual tour of the story line that is scripted. Wow ! the incident was really striking. There is a saying that When Man proposes GOD disposes but here it is the other way round, When Man disposes GOD Proposed HIS WILL and created History. Your articles and way of writing initiates us to go on narrative virtual tour by visualizing SWAMI that is scripted line by line. When Man proposes GOD disposes but here it is the other way round, When Man disposes GOD Proposed HIS WILL and created History. Wonderfully written Brother Aravind . Eagerly waiting for second part.Kishore sir use to teach meditation at Ganesh Mandir in the institute quadrangle In our college days. Cant wait for next part. Excellent Story of Kishore Sir...always his experiences are mesmerizing. Sairam brother Arvind.. There are many senior devotees residing in Prashanthi Nilayam and am sure they have had experiences with Bhagavan which would fill a book. Many of them are very old and when they are gone, sadly their experiences also go away. These could be life changing for some of readers when shared. Just wondering if radio sai or individuals like you can take up this Seva.. Thanks for all your posts! Sairam Aravind. When I read this article today I was wondering how I missed it when it was posted in 2015, and as I scrolled down saw my owm comment posted then after reading it. It is worth reading any number of times. May be I am stuck in Chinta and take up seriously SWAMI's advice Chintan karo!